Our sumptuous 60 square meter suite has a Balinese super king size four poster bed, comes with a 20 square meter private terrace, day bed lounge, bar, work station with laptop computer, printer and scanner and decorated in the finest South-East Asian style. The luxurious hotel room is fully equipped with Satellite TV, CD player, DVD (selection of CDs and DVDs in reception), Mini-Bar, ambient music channels, fully controlable independent air-conditioning and heating. 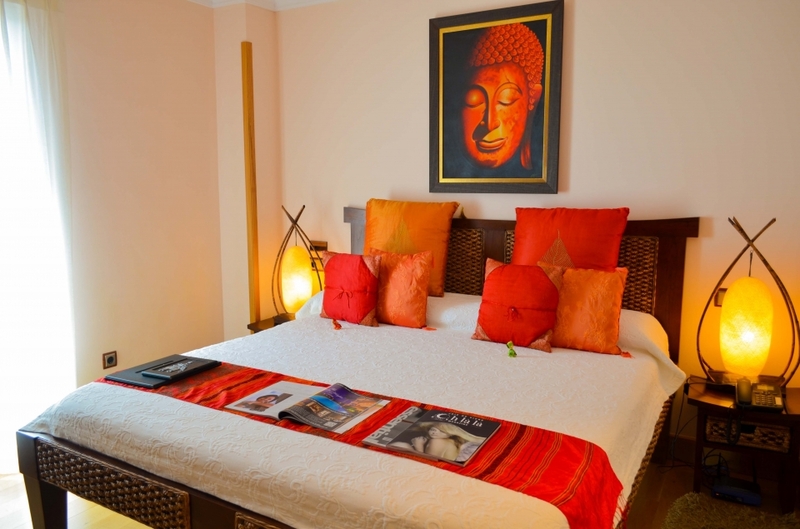 Our Mandara Suite provides our guests with a fast Wi-Fi connection, your own tea/coffee-making facilities, alarm clock, iron and ironing board, safe, telephone, comfort system mattresses and pillows. 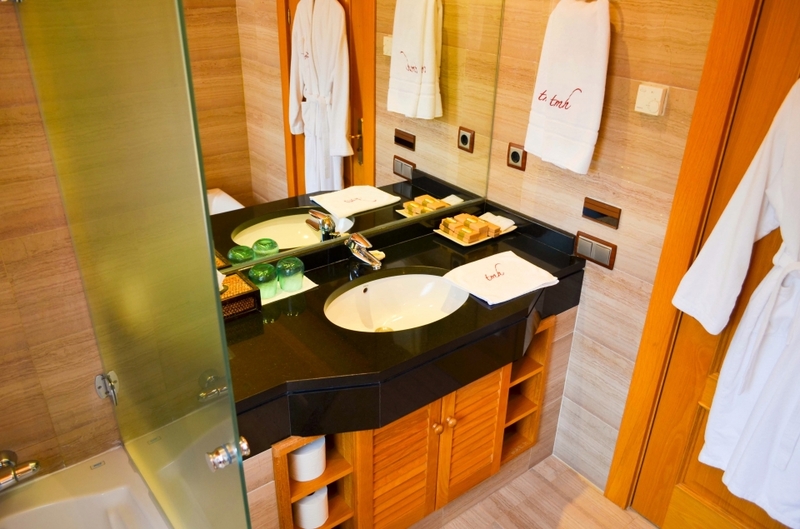 The luxury room also has full soundproofing, a luxurious 15 square meter bathroom with jacuzzi and an incredible hydro-massage shower, Bathtub, fine toiletries, bathrobes, slippers and professional hair dryers. 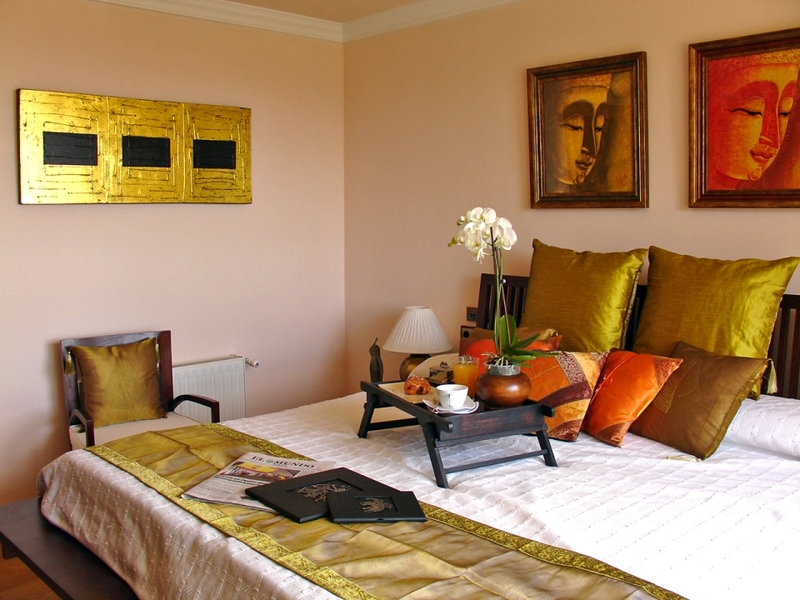 The Balinese king size room comes with a nice 8m2 terrace and is decorated in the finest South-East Asian style. The Khao-Lak room is fully equipped with satellite TV, CD player, DVD (selection of CDs and DVDs in reception), mini-bar, ambient music channels, personally controled air-conditioning and heating, fast Wi-Fi connection, tea/coffee-making facilities, alarm clock , iron and ironing Board, safe, telephone, a comfort system mattresses and pillows. 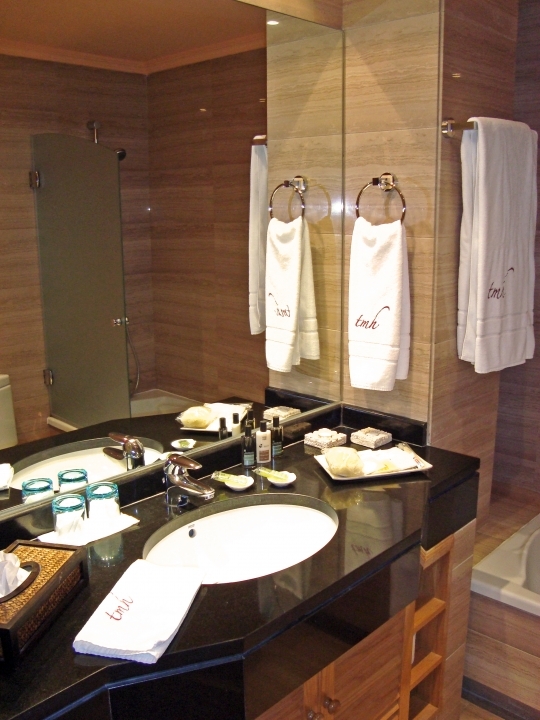 The room is soundproofed, with marble en-suite bathrooms, incluidng bathtub, all amenities, bathrobes, slippers and professional Hair dryers. The Java room comes with a Balinese king size bed, a charming Juliet balcony and is decorated in the finest South-East Asian style. The room is fully equipped with a satellite TV, a CD player, DVD (selection of CDs and DVDs in reception), mini-bar, ambient music channels, personally controled air-conditioning and heating, fast Wi-Fi connection, tea/coffee-making facilities, iron and ironing board, safe, alarm clock, telephone, with comfort system mattresses and pillows. 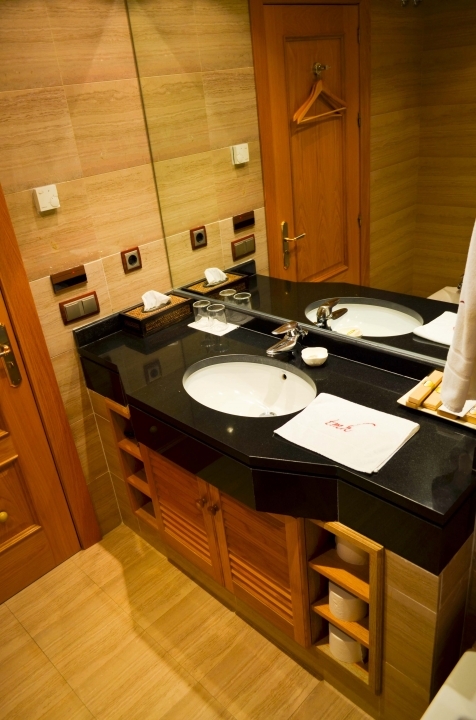 The room is completely sound proofed, and comes with marble en-suite bathrooms including bathtub, all amenities, bathrobes, slippers and professional hair dryers. 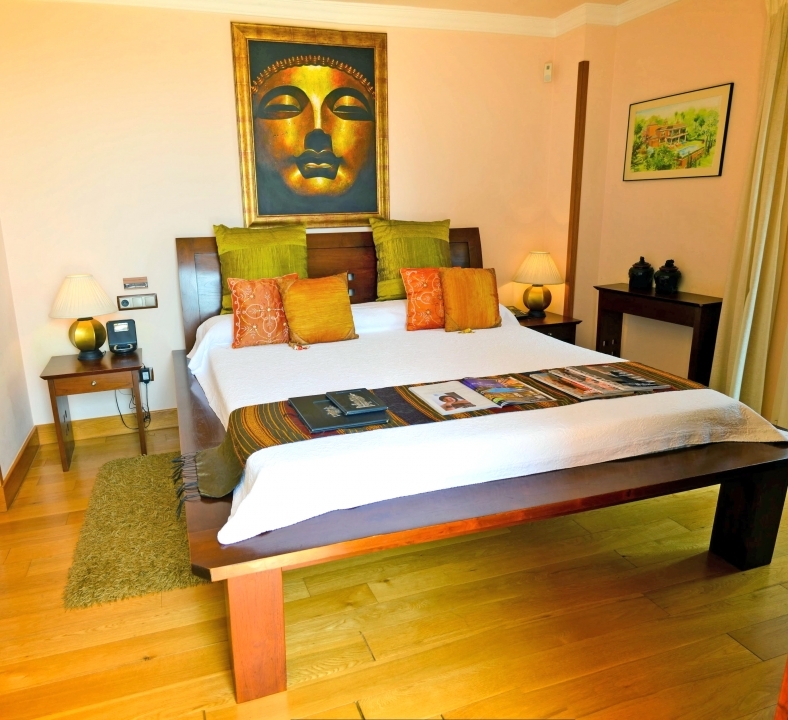 The room comes with a Balinese king Size bed or you may choose twin beds. 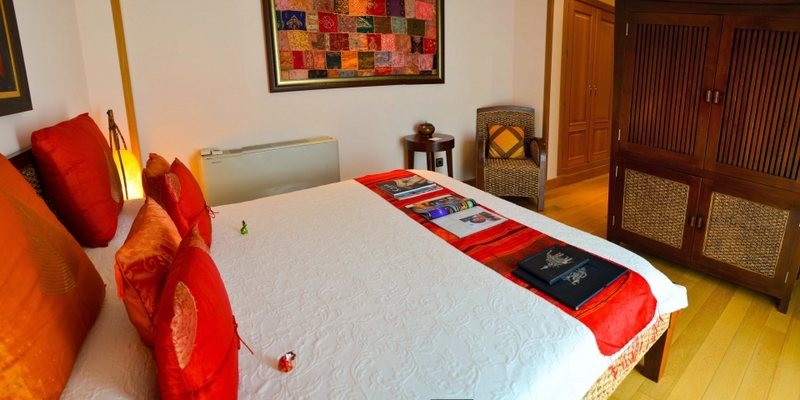 The room has a very large panoramic window and is decorated in the finest South-East Asian style. The room is fully equipped with satellite TV, CD player, DVD (selection of CDs and DVDs in reception), mini-bar, ambient music channels, independent air-conditioning and heating, fast Wi-Fi connection, tea/coffee-making facilities, alarm clock, iron and ironing board, a safe, telephone, comfort system mattresses and pillows. 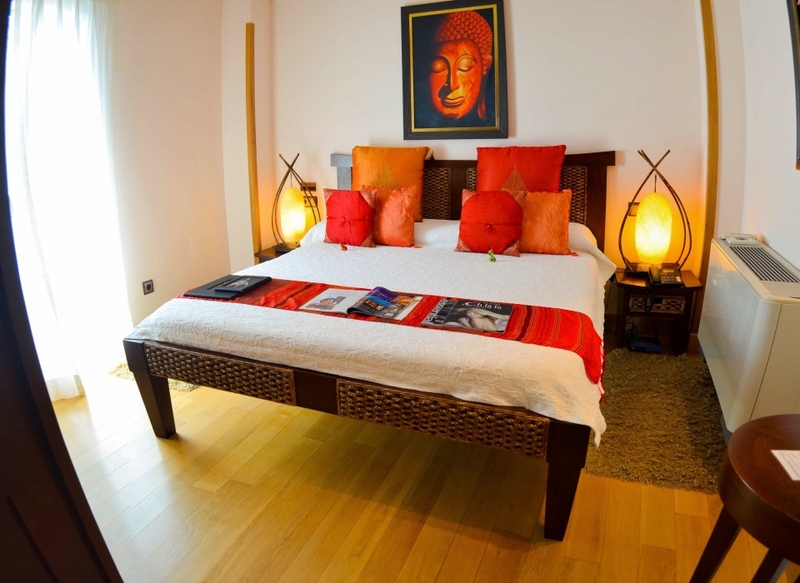 The room is completely sound proofed, and includes marble en-suite bathrooms, with bathtub, all amenities, bathrobes, slippers and professional hair dryers. The room comes with a Balinese king size bed and a charming bow-window that's decorated in the finest South-East Asian style. The room is fully equipped with satellite TV, CD player, DVD (selection of CDs and DVDs in reception), mini-bar, ambient music channels, independent air-conditioning and heating, fast Wi-Fi connection, tea/coffee-making facilities, iron and ironing board, a safe, alarm clock, telephone, a comfort system with mattresses and pillows. 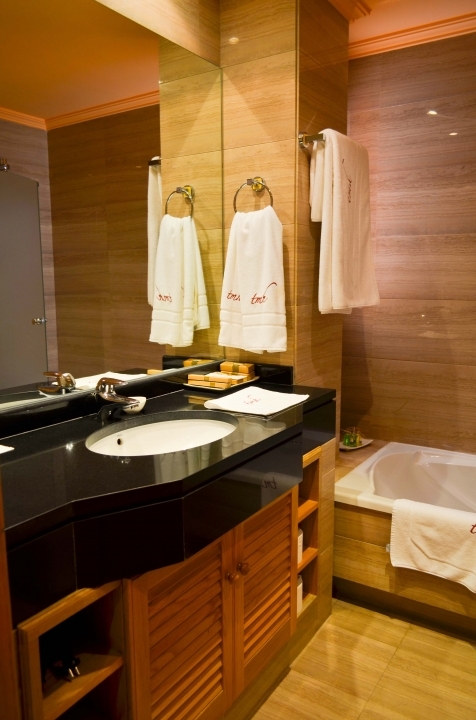 The room is completely soundproof and includes marble en-suite bathrooms, with a bathtub, all amenities, bathrobes, slippers and professional hair dryers.